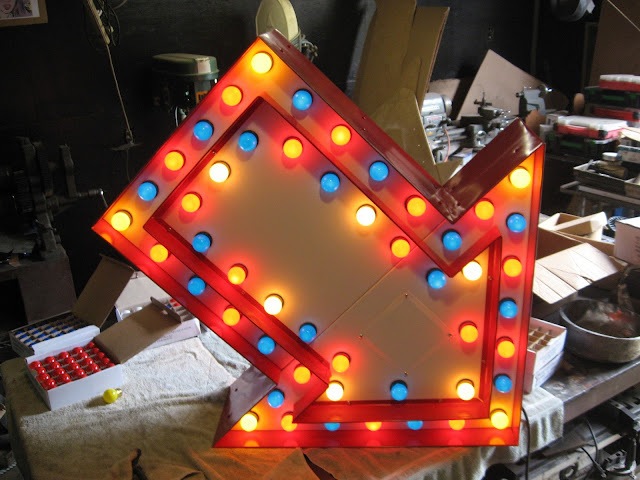 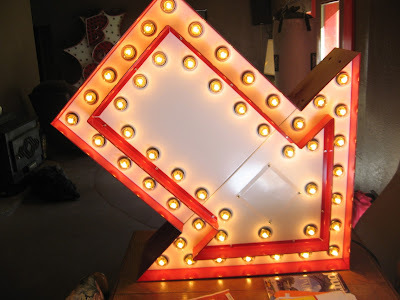 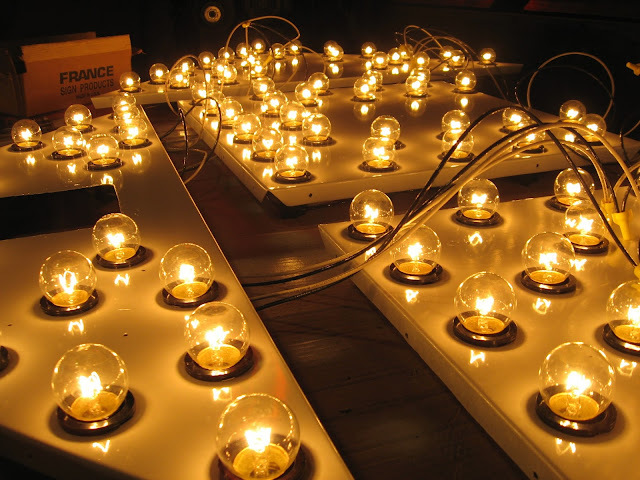 New "Vintage Style" Bulb Sign built from 22 ga steel, 96 Light bulbs and a 2 Circut Electro-Mechanical Flasher.. Inspired By "Superior Out Door Display's" original. 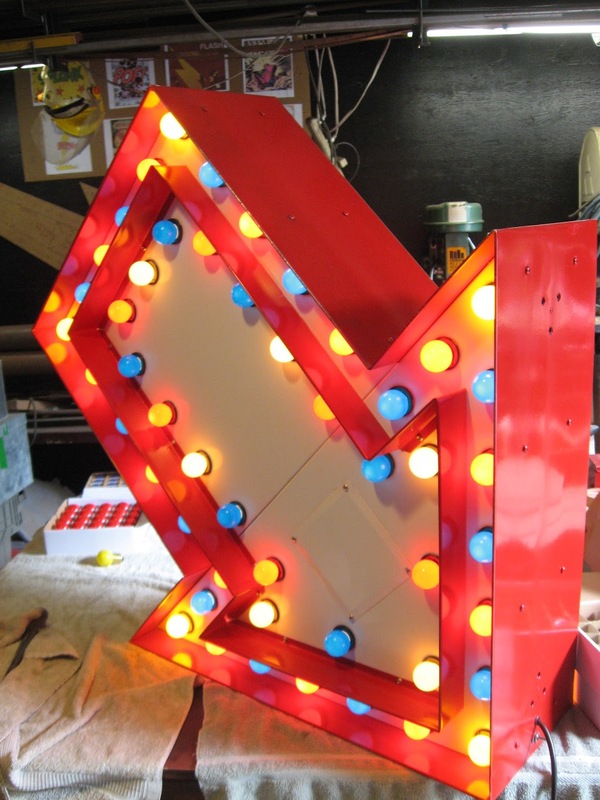 Approx 42"x42"x10"
On Location at "That Shake Place" in Mt Cobb PA!!! 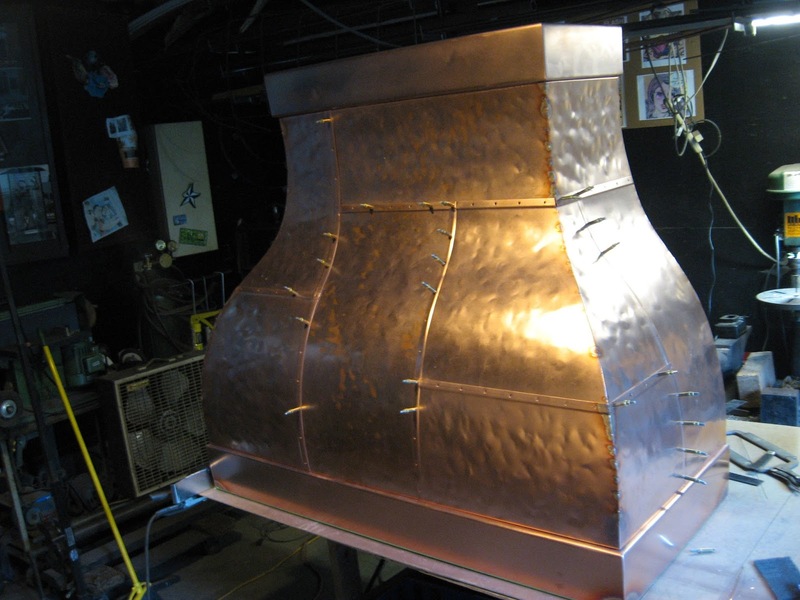 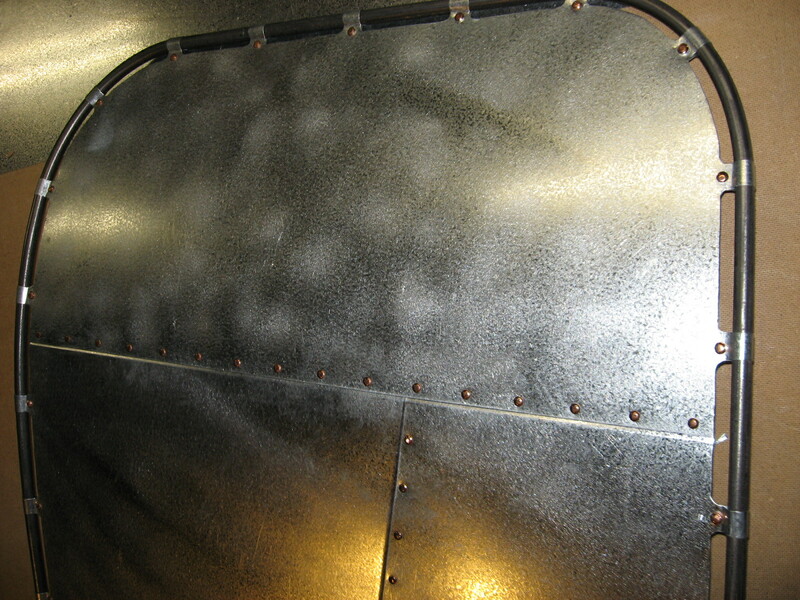 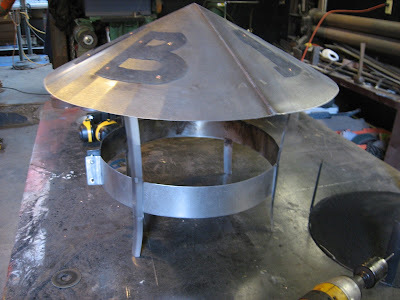 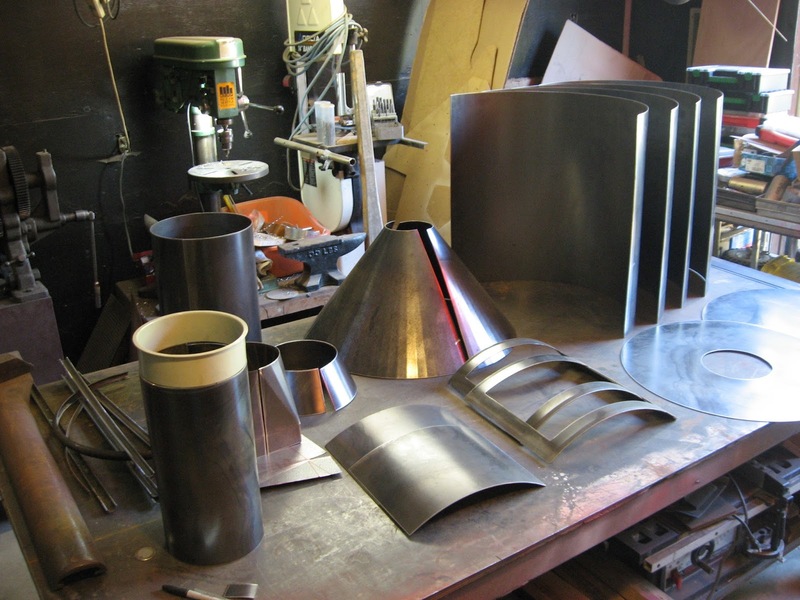 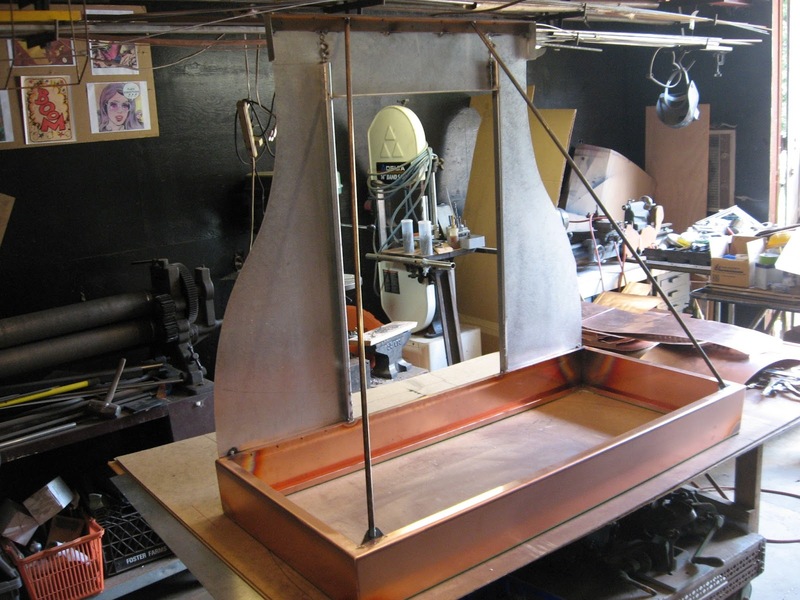 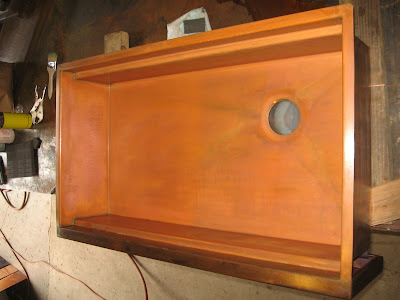 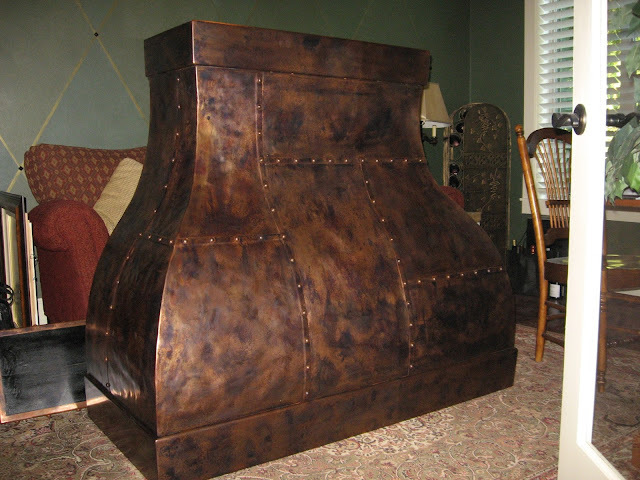 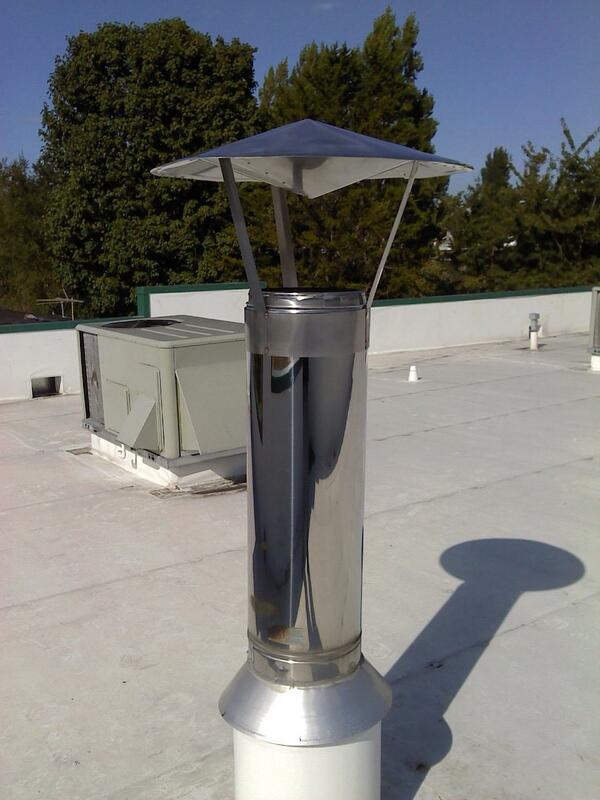 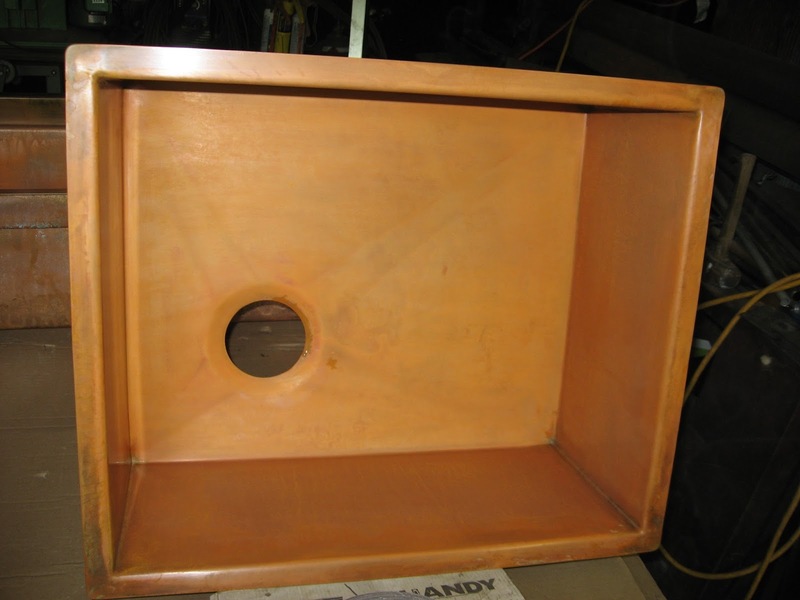 New Range Hood made from Welded copper and 3/8" Round Head Rivet seams. 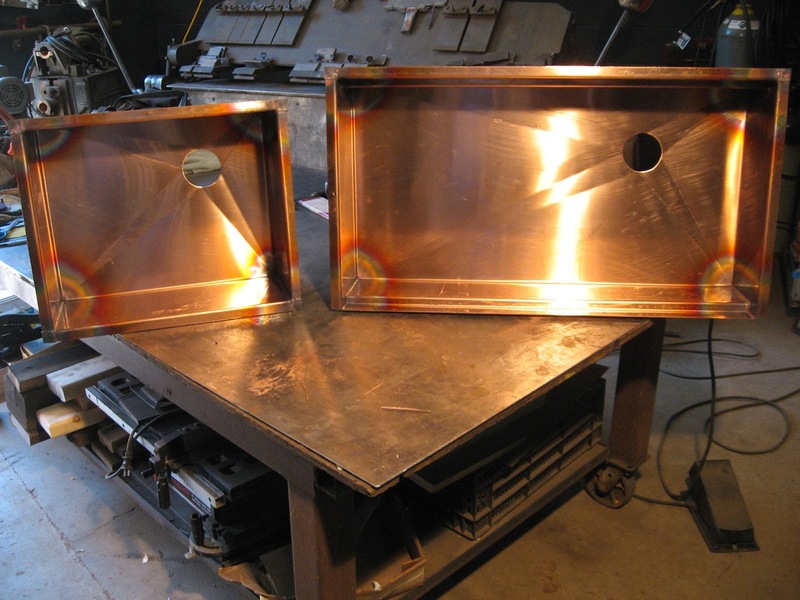 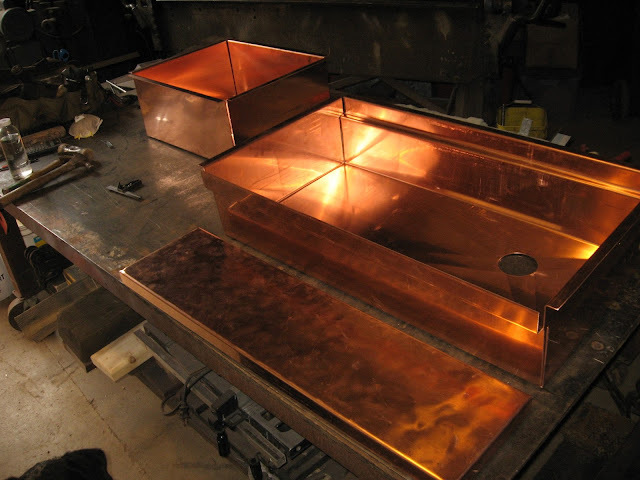 Fully Welded 13 ga Copper Sinks with "Copper Penny" Patina. 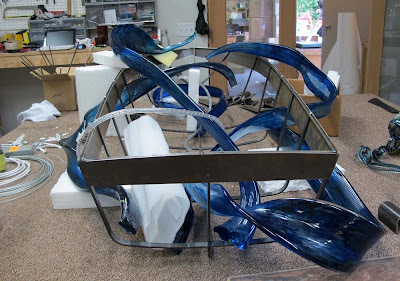 Yet another Fantastic collaboration with Suzanne Healy! 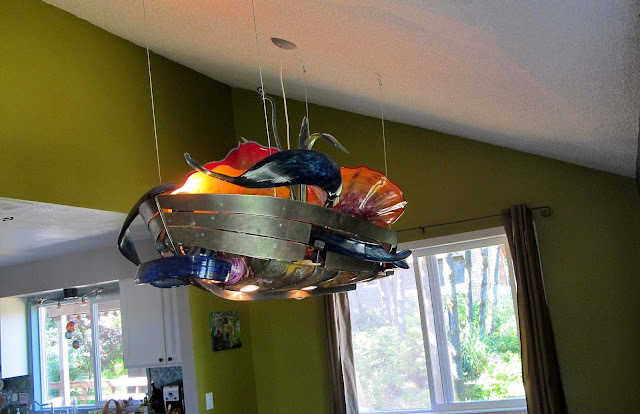 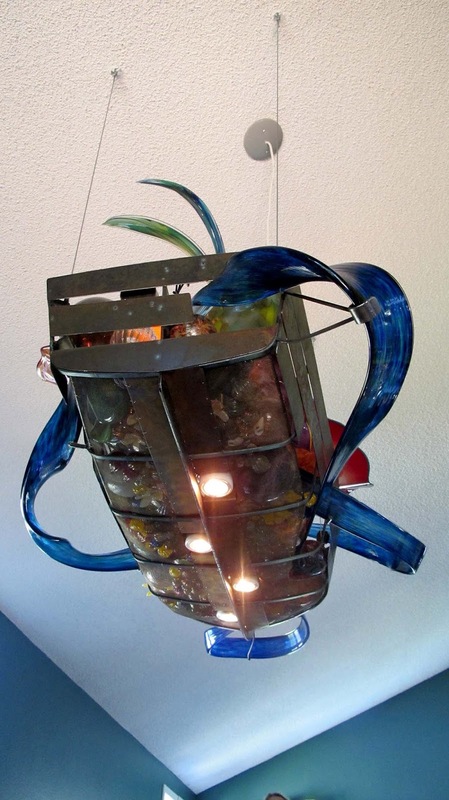 She came up with the Design and Made all of the Glass. 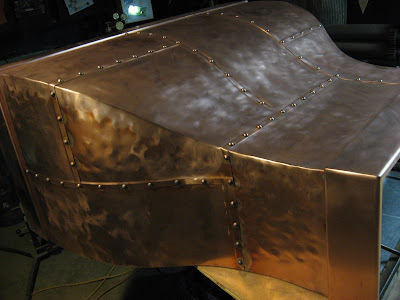 I just supplied the metal and moral support! 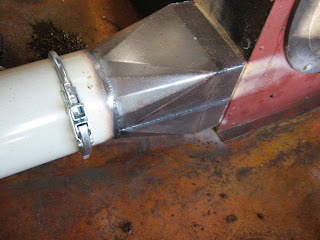 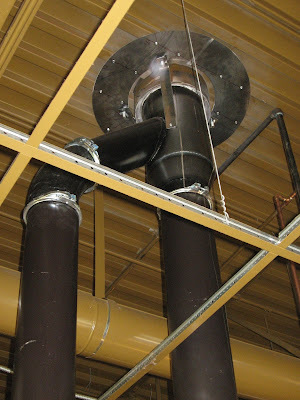 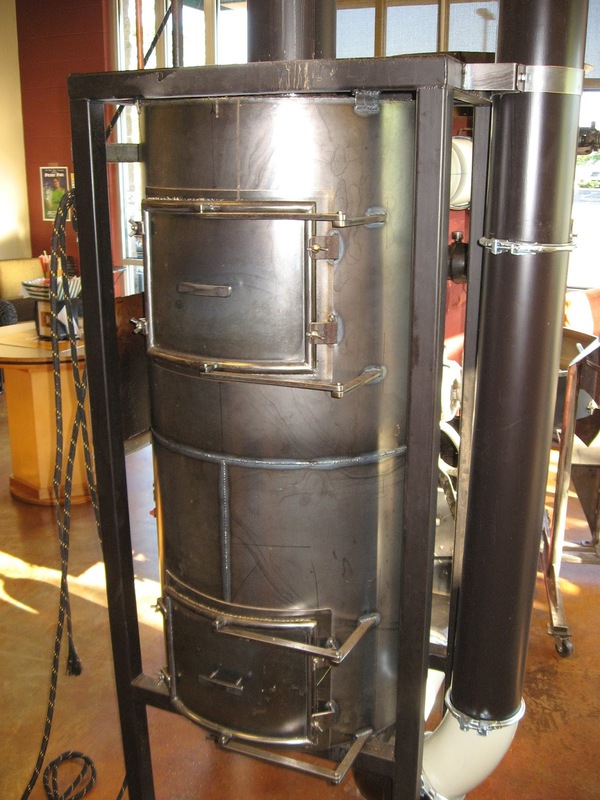 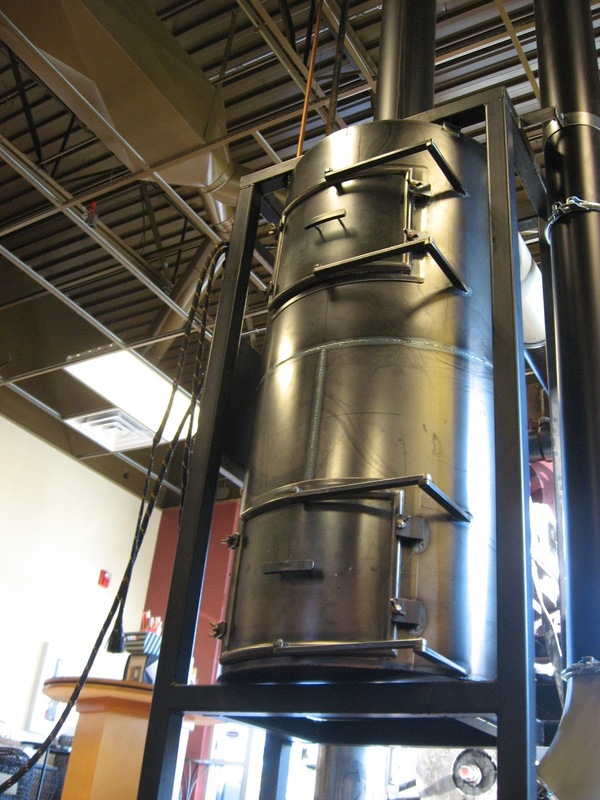 New 14 ga Hot Rolled Steel Coffee Chaff Can For Honey Moon Bay Coffee Co in Oak Harbor Wa. 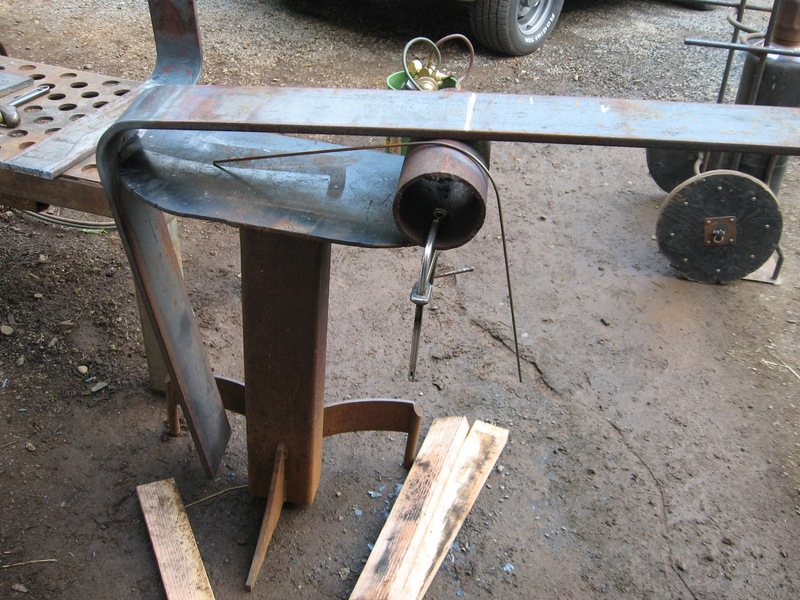 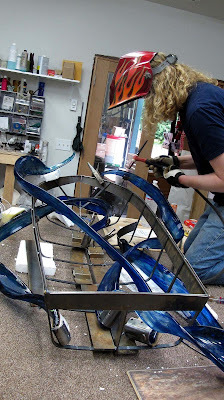 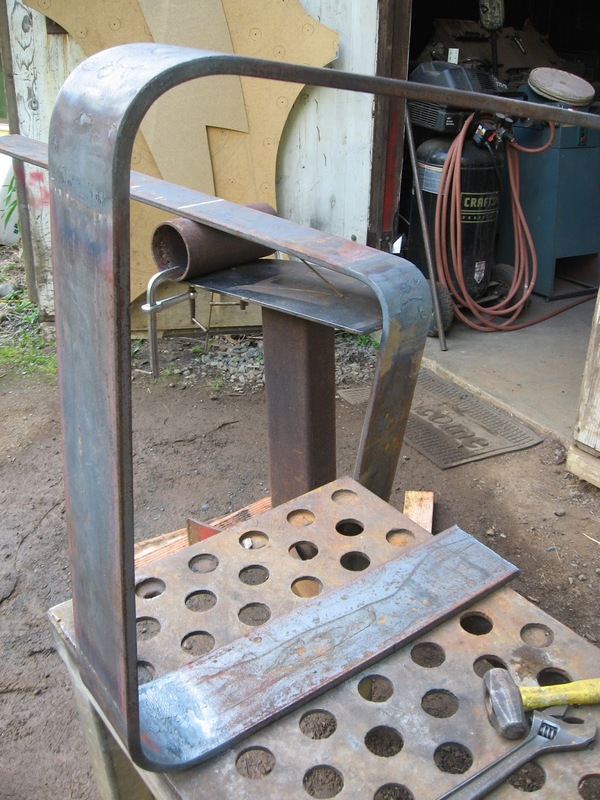 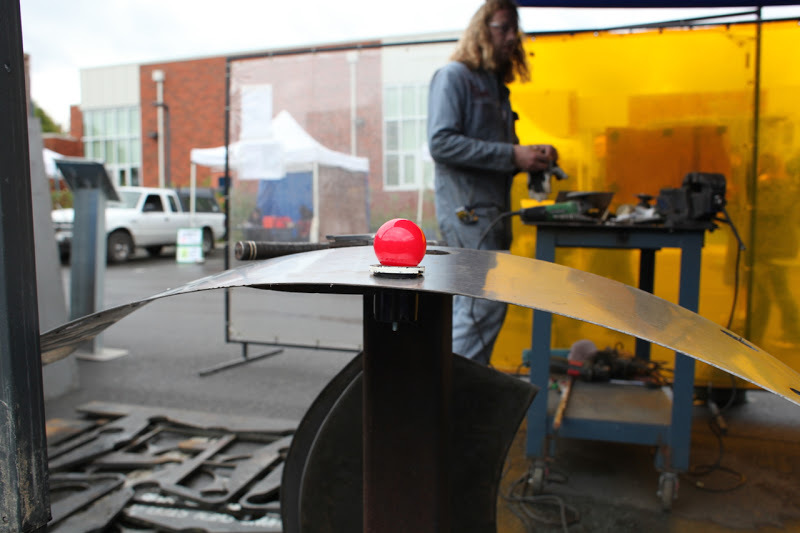 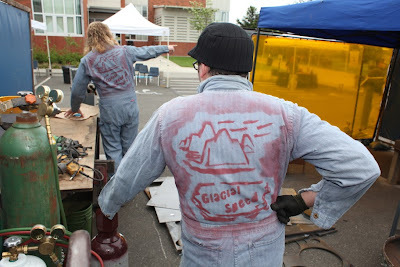 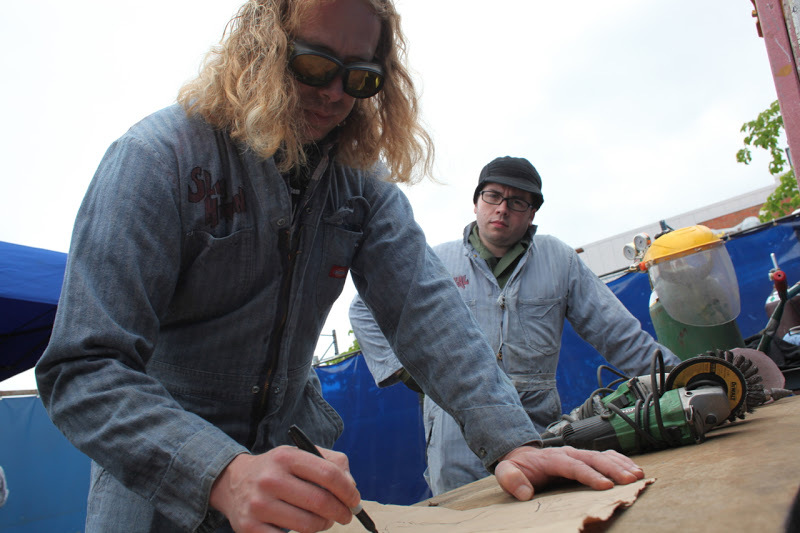 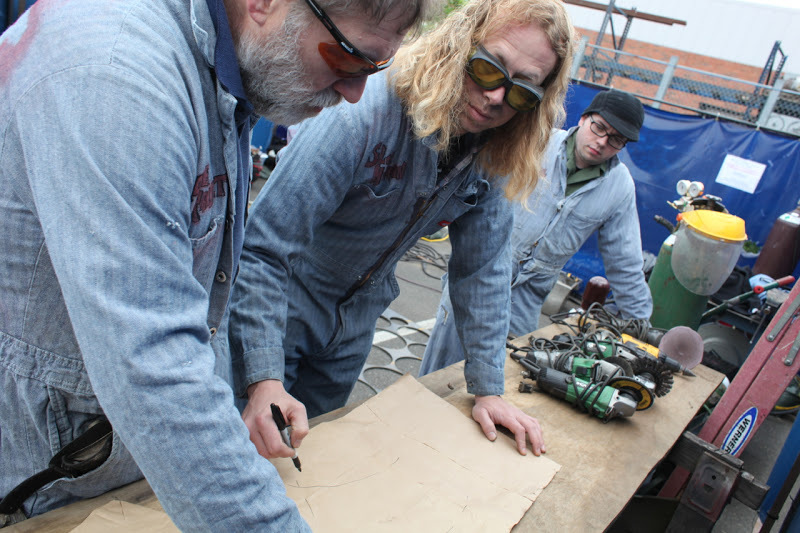 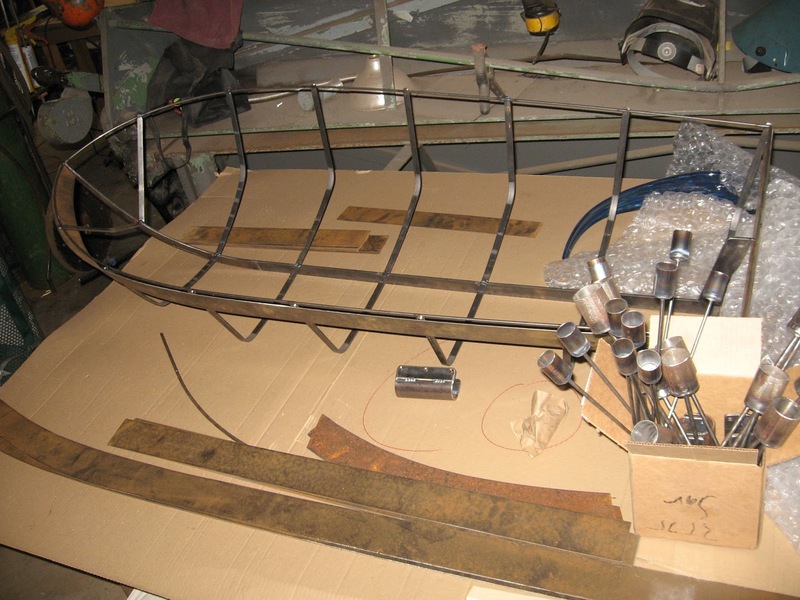 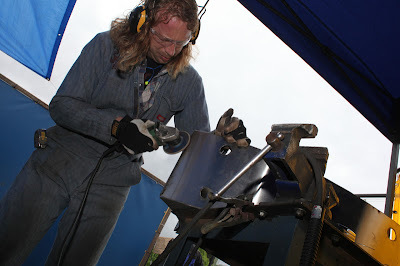 Glacial Speed's Bellingham Tech's Welding Rodeo Sculpture. 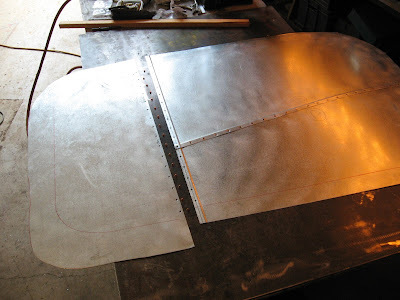 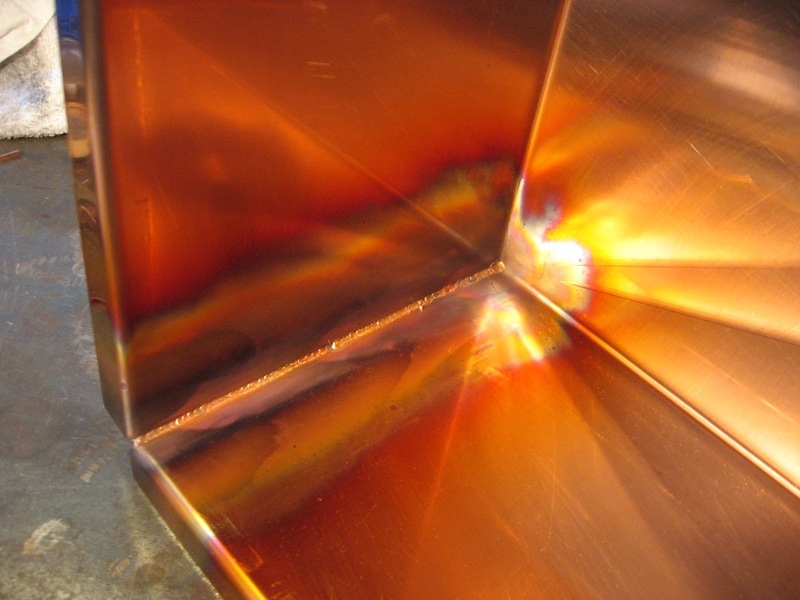 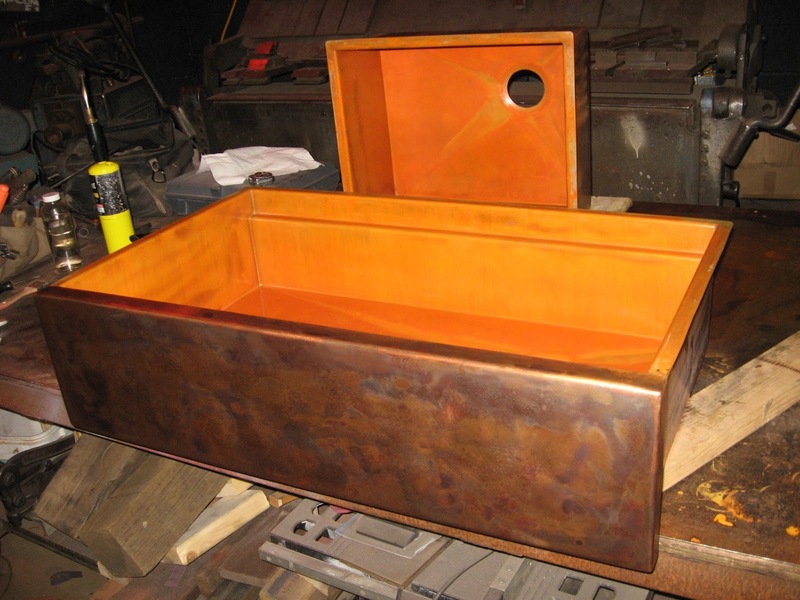 Hammered Copper sheet with Flattened "S" Seam and patina. 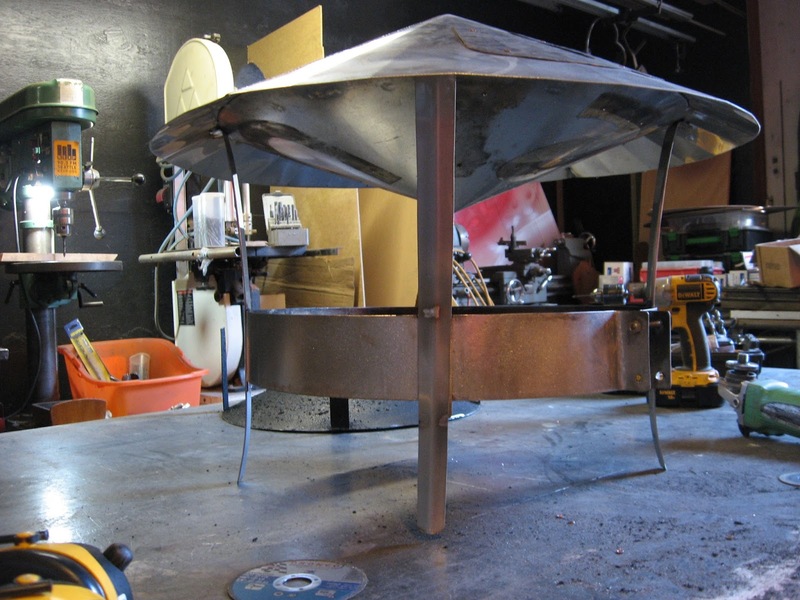 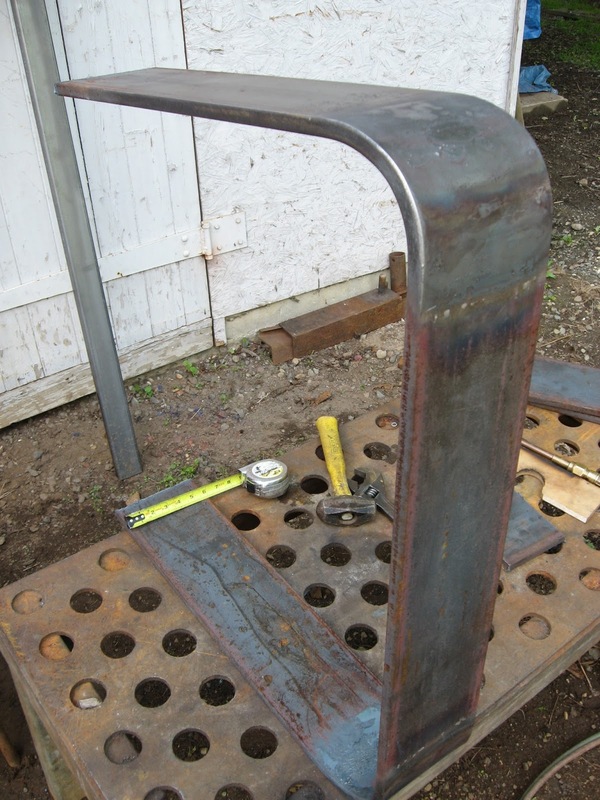 New Custom Table Bases made from 6" x 5/8" thick Steel Plate. These particular Legs cost $1,400.00 to build. 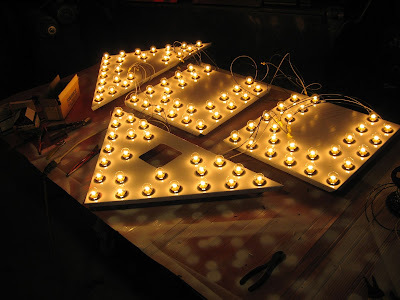 Shipping can also be arranged. We can make other configurations and dimensions. 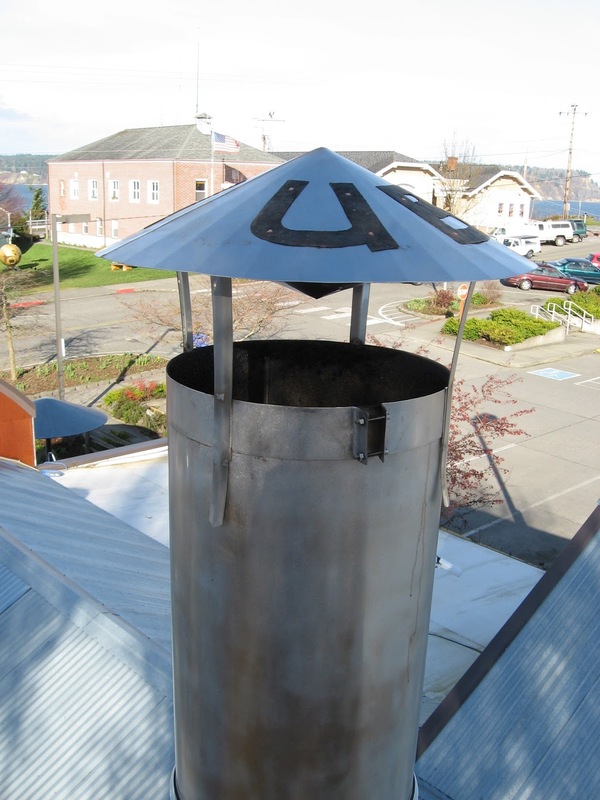 2 New Exhaust "China" Caps for Honey Moon Bay Coffee (Oak Harbor WA) and Useless bay Coffee Roasters (Langley WA). 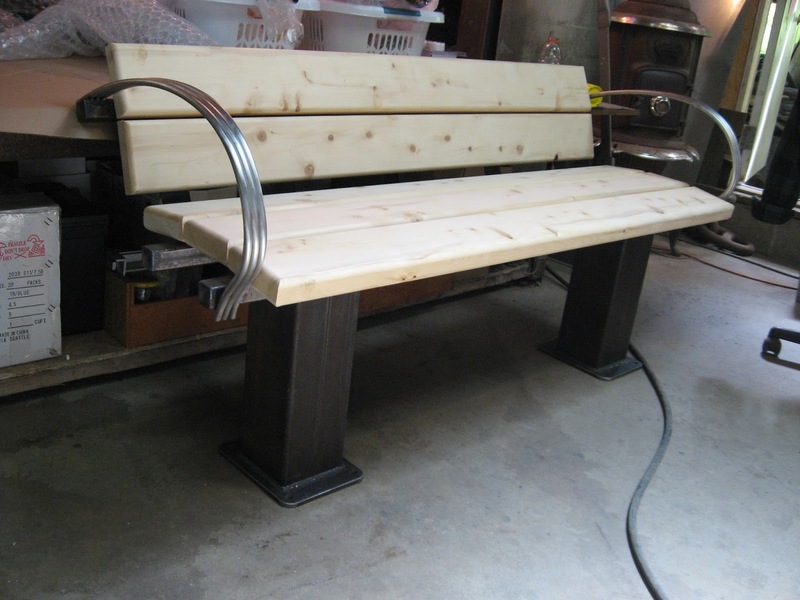 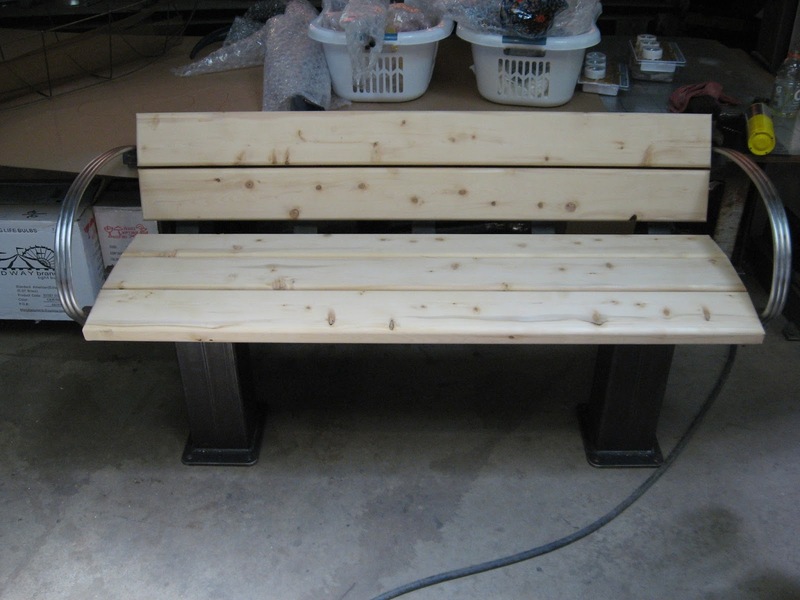 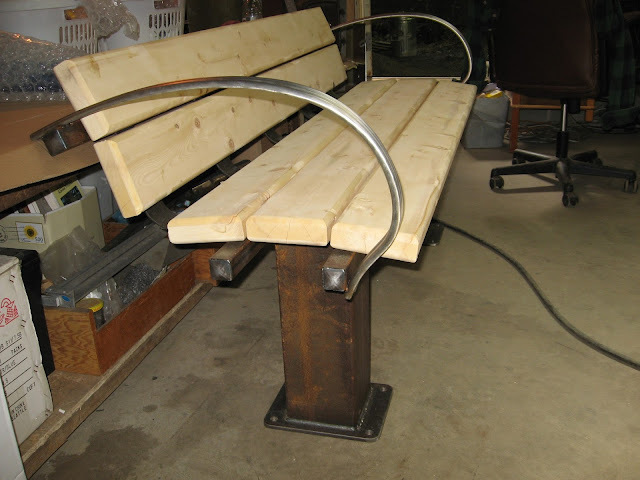 New Steel and Alaskan Yellow Cedar Bench. 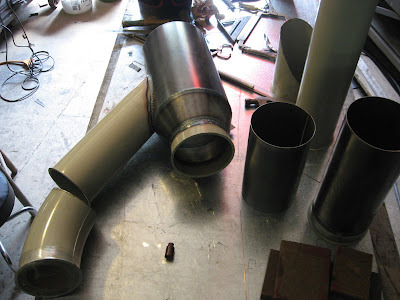 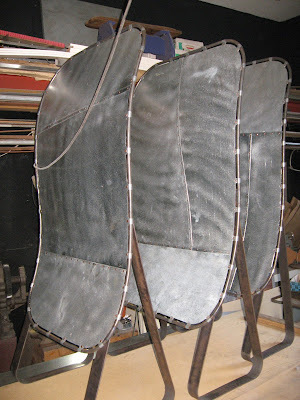 The legs are made from 6x6 sq tube. The Arms are Cold formed S/S rods!